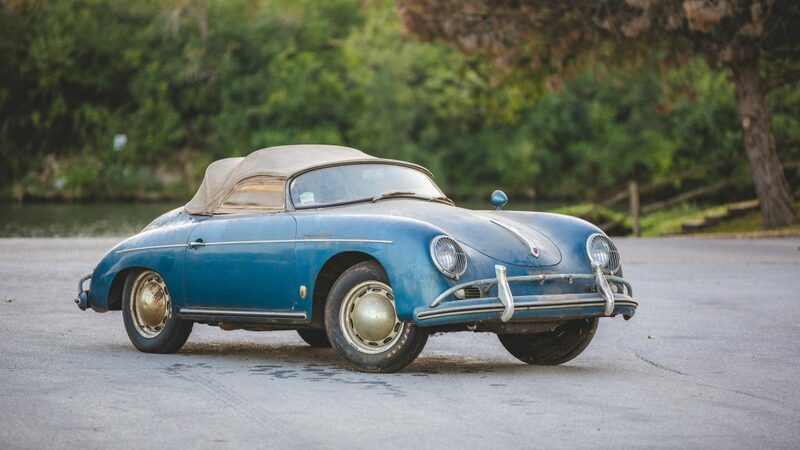 That ‘57 Speedster was, in every sense of the word, a “survivor”. But what constitutes a “survivor”? If a car has been repainted in full, it’s not a true “survivor”. Plain and simple. Even if the respray is of the original color, for a car to be considered a true survivor it must wear its factory-applied paint job. When a car is painted, the large majority of evidence of the car’s life up to that point is covered up. 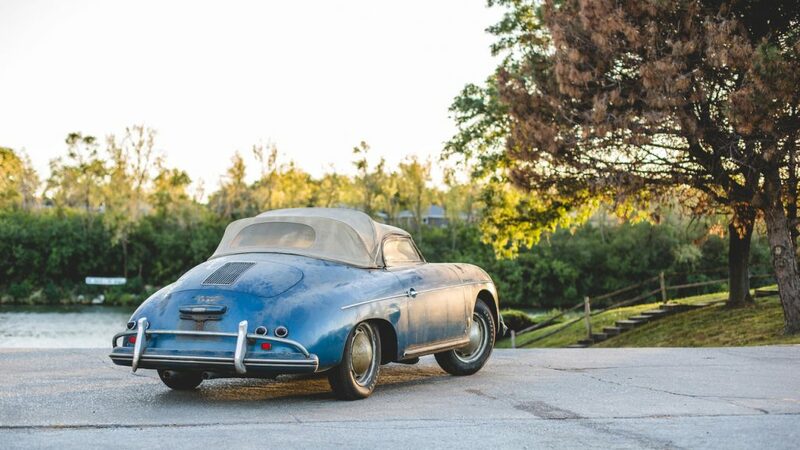 Collectors and buyers alike don’t lust after original paint because they think it looks better, it’s because the state of a car’s original paint job can tell a lot about the history of the car. If a car has been left outside for an extended period of time, the paint will be sun-bleached or faded, particularly on the hood and roof. In that case, you would know to look out for hidden rust. If a car has been street-parked, the original paint will likely show some little nicks on the doors and curb-rash on the wheels. In that case, you’ll know to look for evidence of bondo or dent repair. When attempting to determine if a car still wears its original paint, there are a number of things to look out for. Take a look at the trim and moldings, there should be no evidence of paint on them. At the factory, these pieces are put on the car after it’s been painted. Take a look in the door jambs, is there any evidence of overspray, or other colors? Are there any tape lines? Take a look at the lower portion of the body, do you see any running paint? If a car wears its original paint, there should be no running, no overspray, and no paint on the trim pieces. 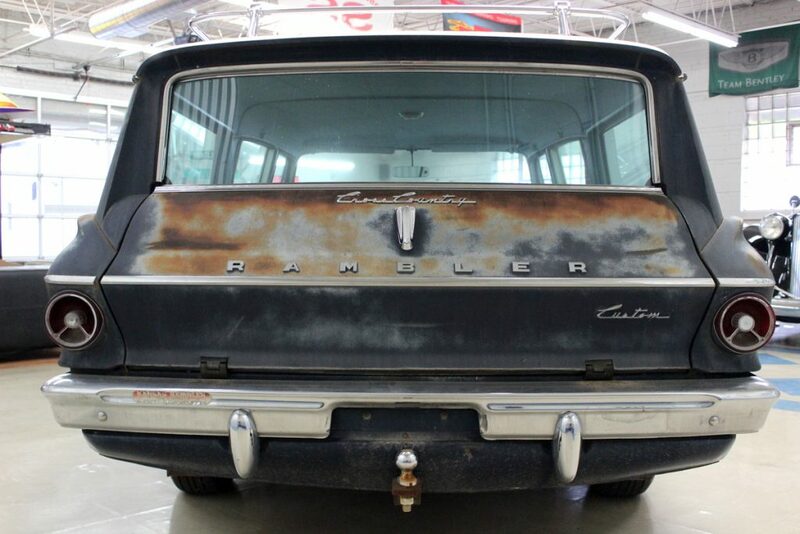 A true “survivor” car’s originality isn’t limited to just the paint; parts and equipment should be original as well. Inside the car, this means the radio, gauges, A/C, and all other powered systems. With many older cars, creature comforts that we now take for granted, things like powered windows or cruise control, were once desirable, luxury options. For a car to have retained all of its original equipment is a fairly uncommon occurrence, as many creature comforts, the radio and A/C system in particular, are often replaced with more effective, contemporary units. If a car is claimed to be an extremely low mileage “survivor”, it’s possible that the car still wears it’s factory-fitted tires. While this may mean the car isn’t particularly safe to drive at speed, due to dry rotting or cracking, it’s something that people seeking a “survivor” car love to see. Take a look at the numbering on the tires, you’ll see the DOT code. These numbers will tell you the date of manufacture. Of course, wheels should be original to the car as well. 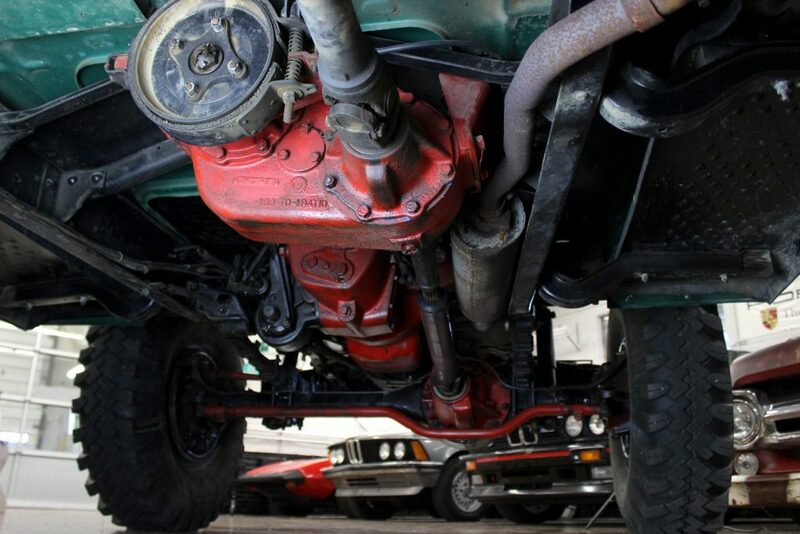 A car’s mechanical components, things like the engine block, transmission, and rear end, have identification numbers stamped or cast into the parts themselves. These numbers can be recorded then researched online to determine if they’re correct to that make/model/year. These numbers should always be looked at prior to the purchase of a classic vehicle. If the numbers are not correct to that specific make/model/year, this means that the car has had some sort of powertrain or drivetrain swap. In most cases, this would not only detract from the cars originality and value, but also the car’s on-road characteristics if the parts aren’t perfectly compatible. A car that has the correct, original mechanical components throughout is said to be “numbers-matching”. Documentation, in the form of service receipts and expired registration papers, isn’t quite a must-have in order for a car to be considered a “survivor”, but it sure is of value. A well-documented car is desirable for a variety of reasons. First off, this paperwork will enable you to piece together the history of the car; you’ll then know what states the car has resided in, and who has owned it. If the car was in dry, no-salt states, this can add value to the car. If the car only passed through one or two hands over the course of its life, that’ll add value too. 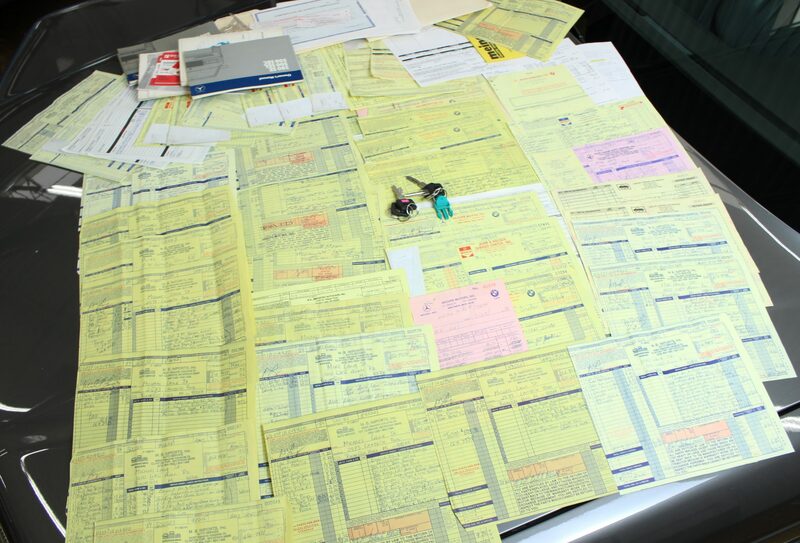 Documentation serves to validate sellers’ claims about their car. 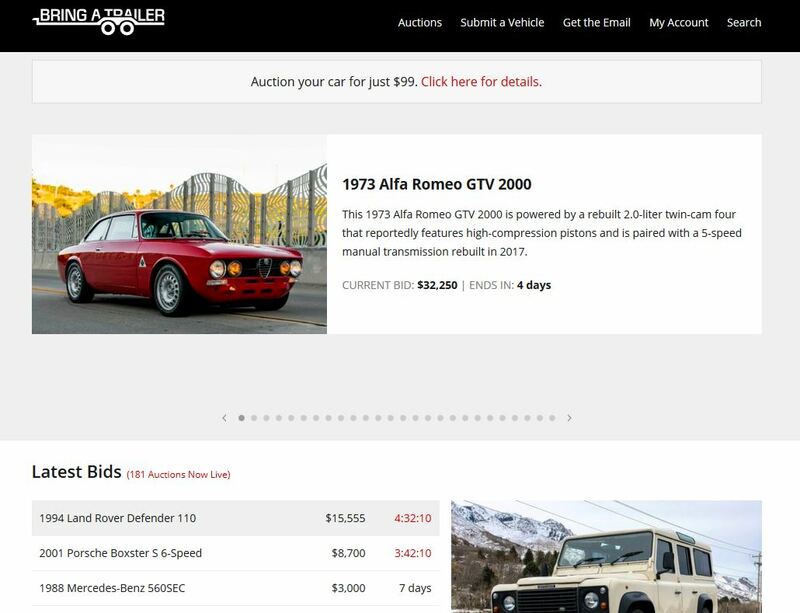 There’s only so much that the naked eye can pick up on; extensive documentation will help you to uncover details about the car that may have otherwise been overlooked. 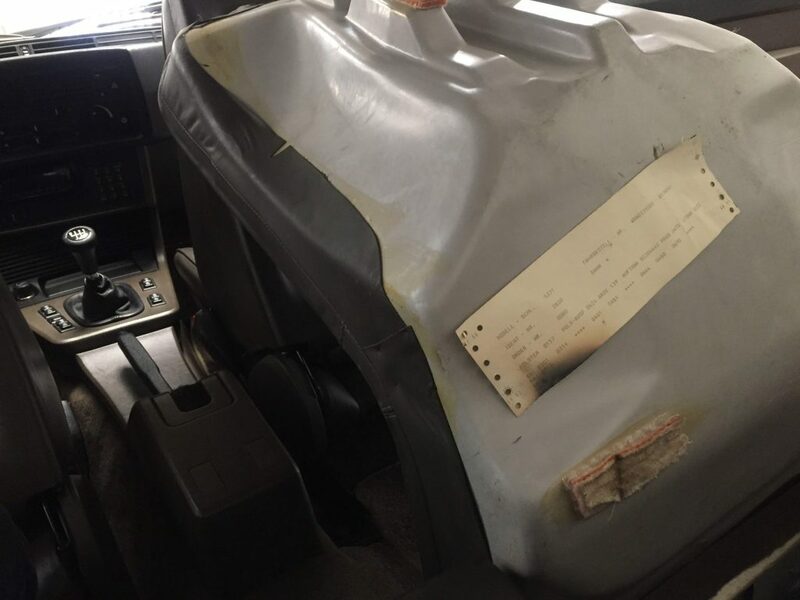 Many cars have what is called a “build sheet” hidden somewhere in the vehicle. A build sheet will tell you everything you could hope to know about the specification of your vehicle; a build sheet describes the cars factory-equipped options, date and location of manufacture, and VIN. A bit of online research can help you to uncover the location of the build sheet. For example, just this week I was attempting to figure out what options Chicago Car Club’s ‘84 BMW 635csi had. After a few minutes of digging online, I found that the build sheet was under the rear seats. A couple minutes later, with the seats removed, I found a small piece of paper stuck to the seat bottom. Having this build sheet in-hand adds value to the car in the sense that it verifies how factory-correct the car’s equipment is. While we often see well-maintained and well-presented classics marketed across the internet as “survivor” cars, we cannot straightaway assume that this means the car is entirely original. The term is tossed around more often than it is truly applicable. My hope in putting together this article is to outline the key criteria of what constitutes a true “survivor” car – original paint, numbers-matching, original equipment, and if you’re lucky, extensive documentation.